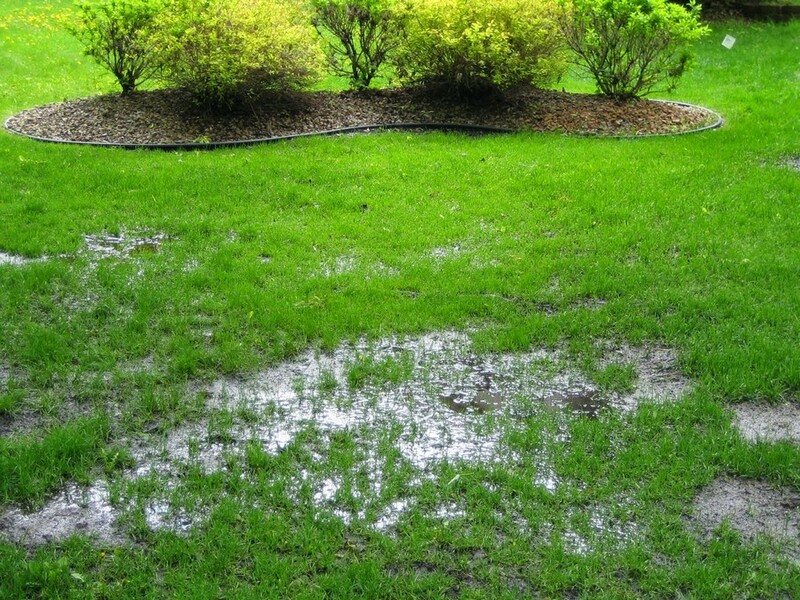 Does your lawn have a slight depression and always seems to be wet and soggy, with large puddles that take forever to drain away? Perhaps you also have clay soil which doesn’t help the situation. Waterlogging is a problem on compacted and clay soil and to improve these conditions you may need to drain the area, especially if you’re a gardener and want to use the space for shrubs and other plants. In a project with application engineering company App Eng, Dakota Murphey has given you an insight into what you need to know when dealing with clay soil and a waterlogged lawn. Is the lawn squelchy to walk on? Is there a glue-like, sticky layer of muddy soil forming on the surface, which is made worse by walking on it? Has the lawn turned yellow? If you’ve answered ‘yes’ to any of these questions, you most certainly have a waterlogging issue. Water that accumulates in puddles on the surface and only drains away very slowly, or fails to drain away at all. Bad soil preparation before seeding or turfing a new lawn. Soil that’s made up mainly of clay, or soil that’s very heavily impacted. Badly drained soil that’s rich in clay will not allow water to drain away. If there’s somewhere for the excess water to go, such as a ditch, stream or soakaway, you can put in a drainage system, but more often than not there’s no easy way to get rid of the excess water. Once you’ve installed a drainage system and the water is draining away properly, you’ll probably have to replace the lawn with a new one. To do this try laying the new turf on a 2-inch bed of sharp sand, covered with topsoil and finished with a generous amount of manure. The first thing you need to do is test how bad your wet problem really is and whether you need to install a drainage system. First, pour a bucket or two of water into a 2-foot-deep hole, then cover the hole and leave overnight. If there’s still water in it the next morning, you most definitely have a drainage problem. 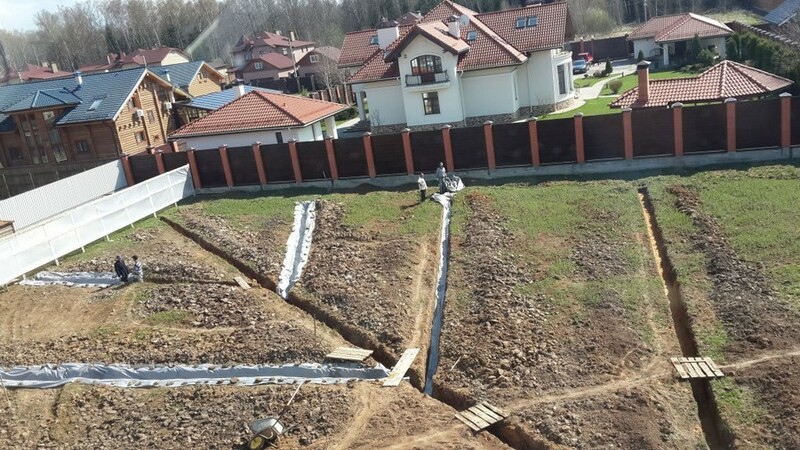 But before going ahead and installing a drainage system, try to improve the drainage by digging over the soil (deeply) and adding some organic matter. If this doesn’t help, take a step back and try to find out where the water is coming from. The problem could be as simple as a gutter downpipe or a sump pump discharging water into this area. 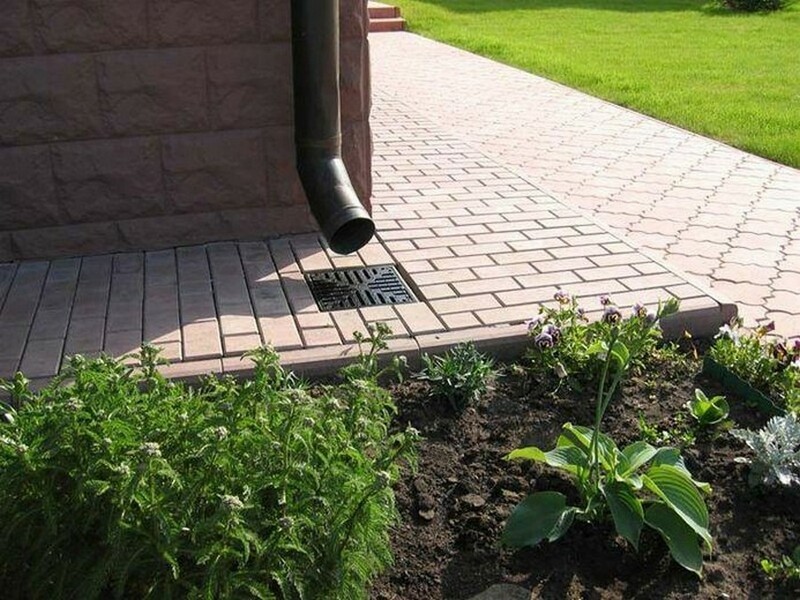 To solve the problem, just move the downpipe or run the discharge pipe from your sump pump to another location. What does installing drainage involve? First, you need to think about where you’d like the water to be channelled – a nearby stream, ditch, or a soakaway (a deep hole filled with rubble) are the perfect places. But remember, local bylaws prohibit you from draining water from your garden into storm drains or sewers. Dig a 2-foot ditch across the lower end of a slope near the soggy spot to help drain away any excess water. You may need to hire a small trenching machine to do this. Dig a ditch about 3-foot deep across the lower end of a slope close to the area that’s waterlogged. Fill the ditch with coarse gravel topped with upturned turf to keep soil from filling in the gravel spaces, then finish with a layer of topsoil. For serious drainage problems, you need to dig two or three trenches about 2-foot deep in a herringbone layout. The trenches should follow a natural slope towards where you want the excess water to drain away. 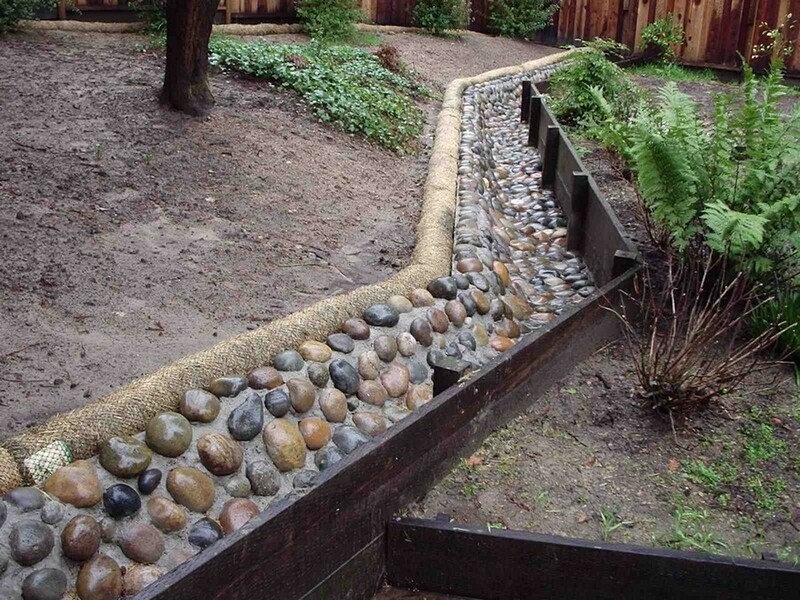 Line the trenches with a firmed 2-inch bed of coarse gravel and cover this with about 4 inches of ordinary gravel. Lay perforated pipes in the trenches and fill them in with soil and topsoil. You can buy perforated pipes from any builder’s yard. Since this is not the easiest of jobs, it’s a good idea to hire a trench digger rather than try to dig the trenches by hand. If the ground slopes in the wrong direction, or the water is not soaking away even with a French drain or perforated pipes in place, then you’ll need to install a sump and pump system. The sump (pit) is a 4-foot-deep hole or water tank in your garden, lined with concrete that collects the water that’s not running away. A submersible pump is then used to pump the water to a suitable area where it will disperse.